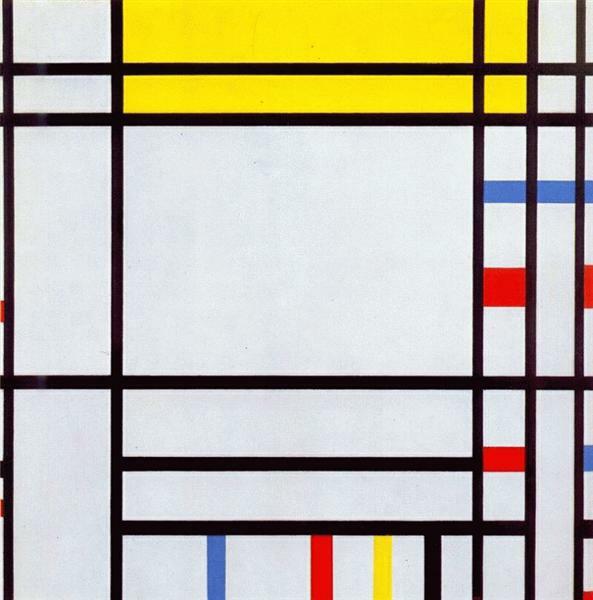 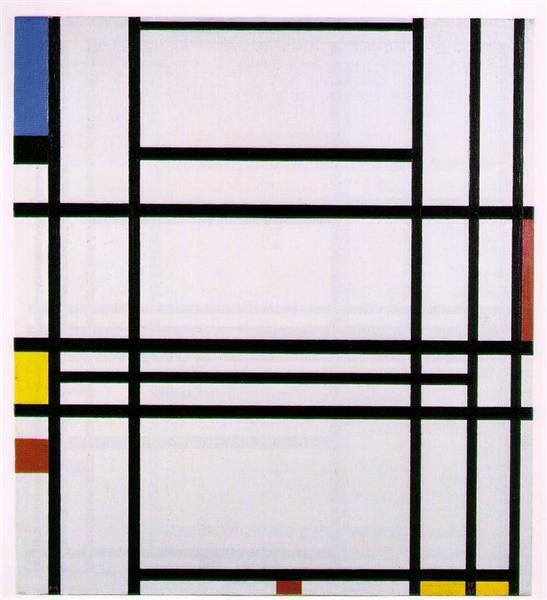 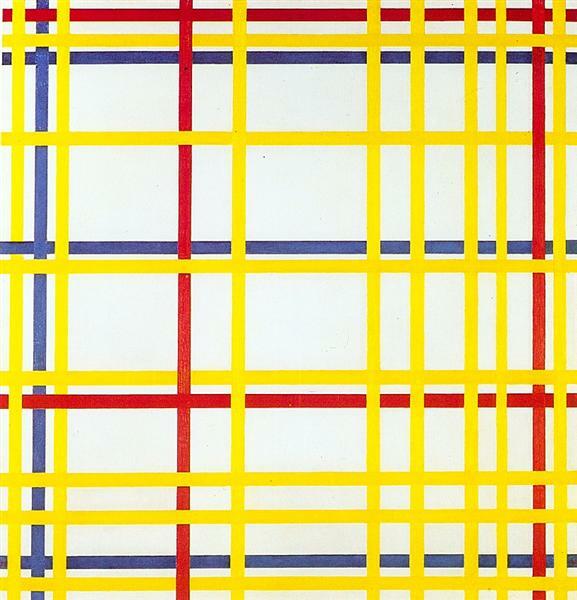 One of Mondrian’s earliest paintings, this was the first in which he implemented his color palette of red, blue and yellow, the three primary colors. 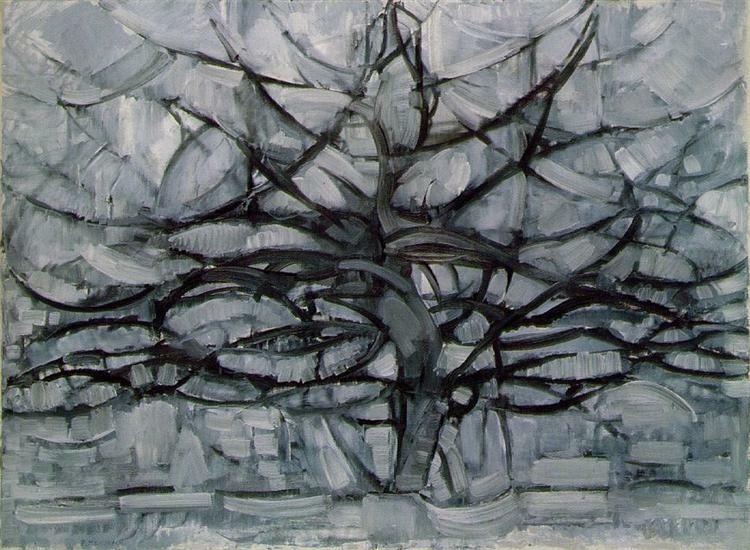 Also as one of his earlier paintings, it was still a clearly representational form of a tree. 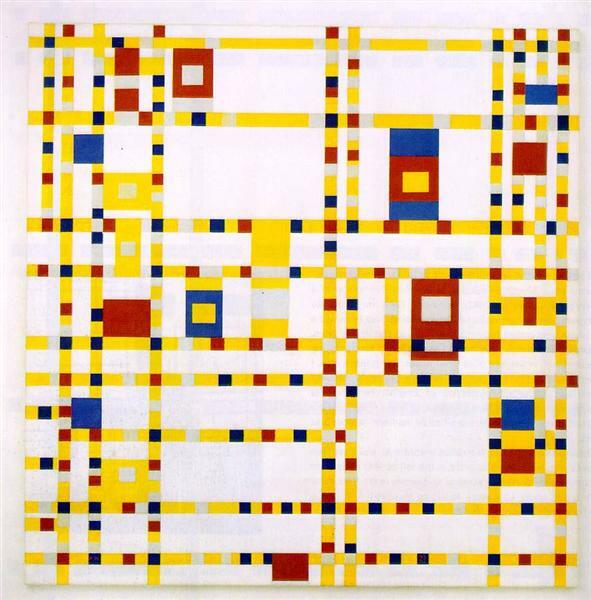 As a budding artist, Mondrian began painting simple pastoral landscapes of his home country, and these paintings evolved from those beginning artistic ideas. 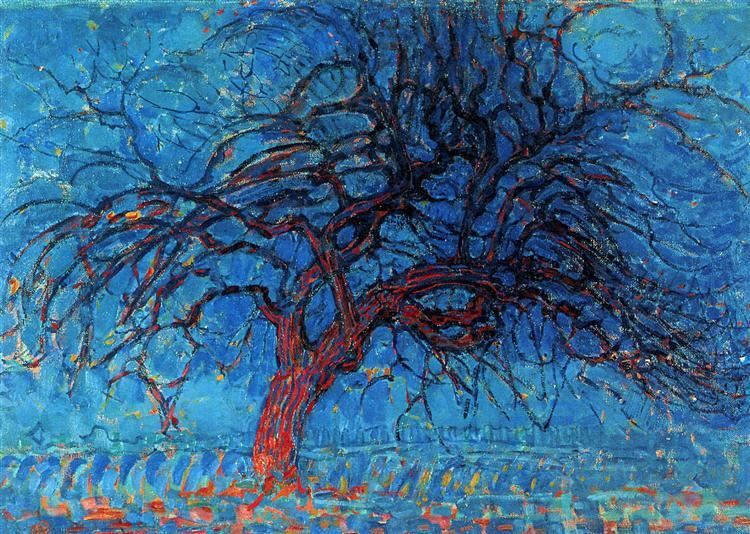 In the abstraction of the color of the tree and the simple design, Mondrian’s aesthetic style is already present in this simple landscape. 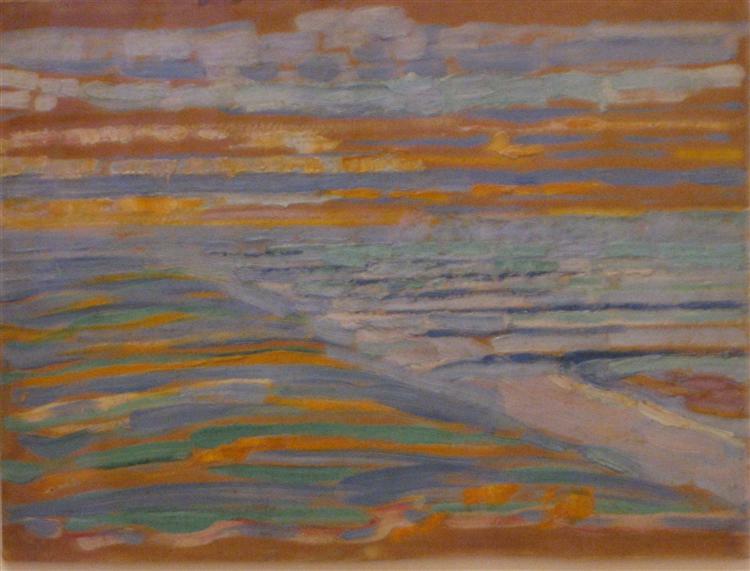 This post-impressionistic piece was only a stepping stone in the artist’s development into his ideal form of neo-plasticism.